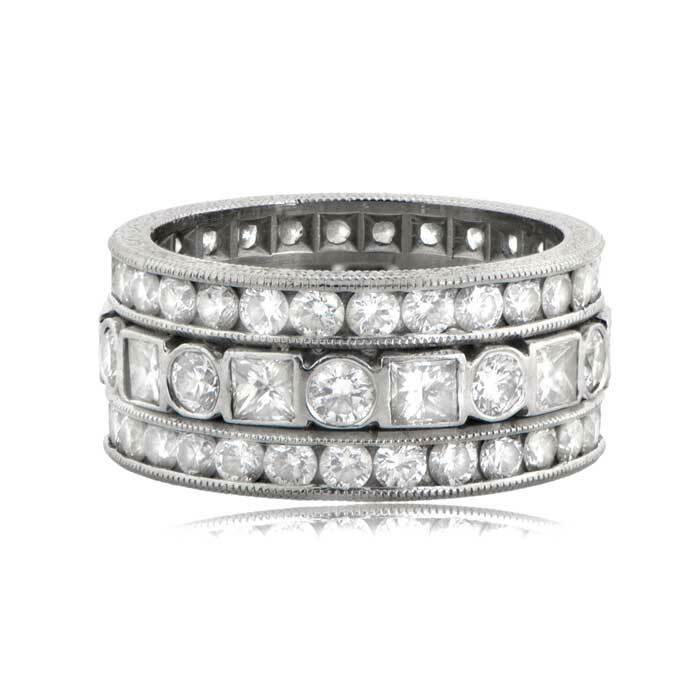 A Fascinating Estate Style Diamond Wedding Band with a total carat weight of 4.40ct. 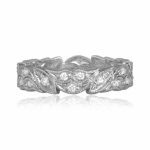 The center row has alternating princess cut diamonds and brilliant-cut diamonds that are bezel set in the platinum setting. The outer rows are channel set. 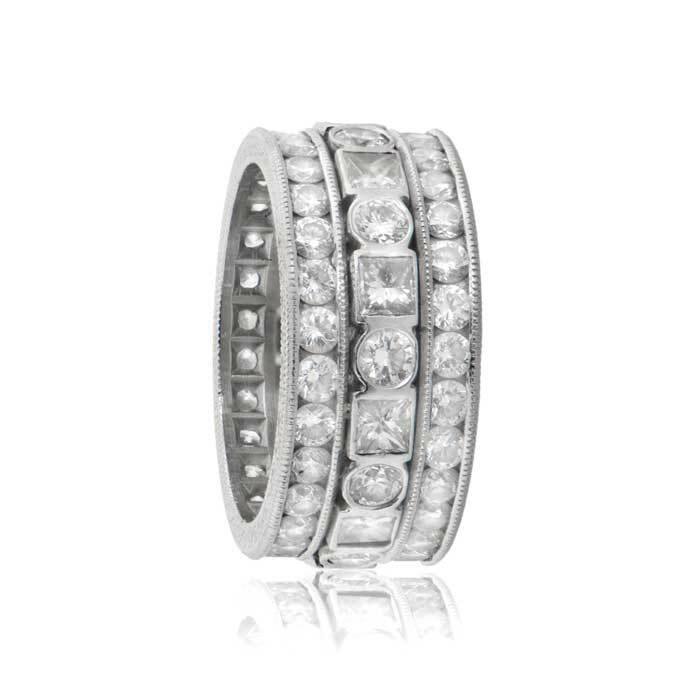 The diamonds are approximately H color and VS clarity. 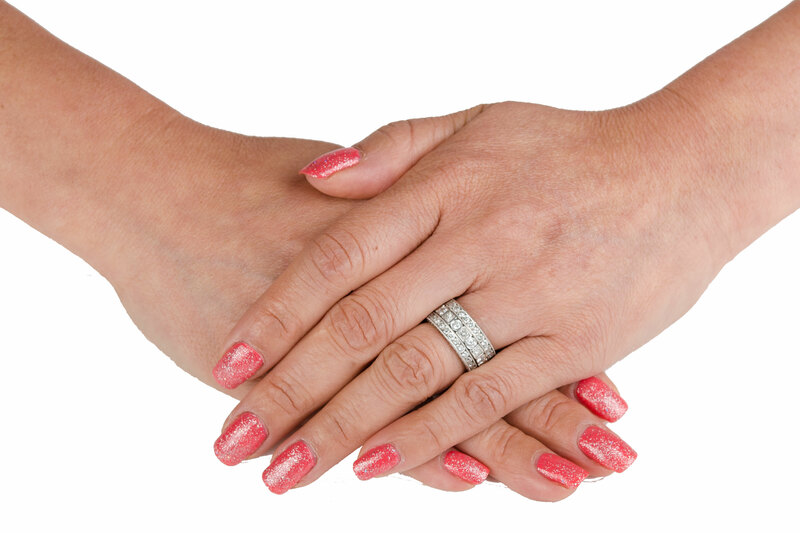 Beautiful engravings adorn the top and bottom of this stunning band. The band is a size 6, but can be ordered in any size. There is a surcharge for sizes above 7 1/2. Returns of bands in sizes smaller than size 5, or larger than size 7, will be subject to a 10% re-stocking fee. 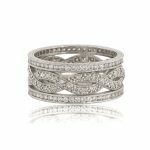 SKU: 6478 Category: Vintage Wedding Bands - Contact us and request additional pictures.